What does a private on location photo session look like? A private photo session takes 30 minutes. We meet you with and your pet(s) at the agreed upon location of your choice (at your home, local park, etc.). On location we start by getting to know your animal(s) and giving the animal the opportunity getting to know us. This will put your pet(s) at ease and create a more relaxed environment for the photo session. During the photo session, we switch between taking pictures and playing with your pets and sometimes both happens at the same time. The photo session will be a fun and exciting adventure for you and your dog. What if my pet is not sitting still for the pictures? A 30-min private photo session at a location of your choice (your home, a local park, etc.) including post-processing of the best dozen pictures and one 8x10 print of your choice is only $99. A full hour photo session is $198. Other photo products, including prints in any size, framed picture, canvas, etc. can be purchased separately. For example, a large 12x16 print is $45 and the matching frame is also $45. The same picture in 8x10 is $35 plus a frame for $35. What is included in the cost of the photo session? Other photo products, including prints in any size, framed picture, canvas, etc. can be purchased at additional costs. Will I receive the electronic files of the pictures? High-resolution files of the top 10 – 15 pictures are not included in the cost of the photo session but can be purchased for $45 each. The full set of electronic files is available for $299 in maximum resolution. Please note that the use of the purchased files is limited to personal use and excludes any form of commercial application. Can you include me/us in some/all of the pictures? We are always thrilled to include you, your children, or other individuals of your choice together with the animal in the pictures. All individuals shown in the pictures will have to sign a model release form. Can you make me look younger in the pictures? Yes, we can remove wrinkles, whiten teeth, and even apply make-up during the post processing if you desire. Depending on the amount of work needed and the number of pictures, additional fees might apply, but we will communicate those in advance. Is k9photo.org a 501 C(3) charitable organization? Not yet. We are in the process of applying for a 501 C(3) status. For now, the money you are providing to k9photo is not tax deductible, but 100% of the proceeds are used to provide medical care to animals in local shelters and rescues. Can I hire k9photo.org for Prom pictures, weddings, etc.? Over the years k9photo has developed a unique skill set in working with animals and it is our desire to exclusively work in that area of photography. How can I help k9photo.org to raise more money to support animals in need? Do you offer a satisfaction guarantee for your pictures? Yes, k9photo offers a 100% satisfaction guarantee. If you are not satisfied with any aspect of our work or the pictures we have captured of your pet, we will gladly offer you another session with the same animal(s) at no cost. What if my dog doesn’t like you? This has never happened before with the hundreds of dogs and cats we have captured on “film”, but should your dog or cat to be very shy or territorial we have the necessary equipment to take close up pictures from the distance to make the experience for the animal as relaxing as possible. 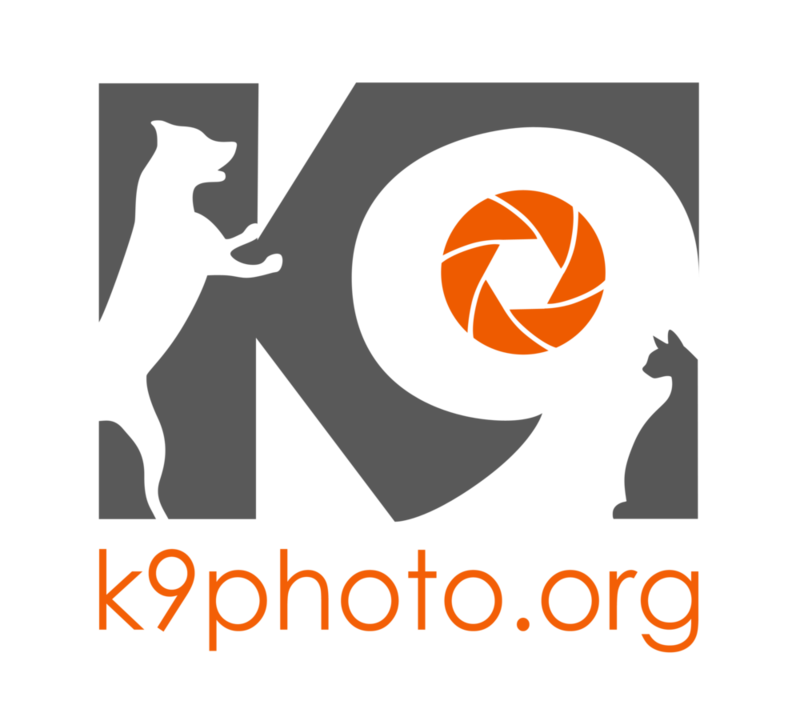 Is it true that k9photo donates 100% of the proceeds of their work? Yes, 100% of the funds generated through photo sessions fees is being used to help animals in local shelters or with local rescues to provide the needed food, care and medical attention. K9photo.org is also working with local shelters and rescues to create pictures of animals available for adoption to promote finding suitable homes quickly. Why do you require a deposit for the photo session and how much is it? We ask for a $50 deposit to hold the date and time of the photo session on our very busy calendar. The deposit will be applied against the cost of the photo session if the photo session occurs as scheduled. Should a customer cancel the photo session less than 48 hours in advance of the scheduled appointment for reasons not related to inclement weather the deposit will be forfeited. What form of payment does k9photo accept? We accept cash and payments through PayPal in advance of the photo session. “Michael was extremely accommodating to our needs and scheduled us very quickly. He went above and beyond to get amazing pictures of our pup - we were stunned at the quality! Not to mention the best part: all of the proceeds go to helping animals in need! We will definitely be using him again in the future”.